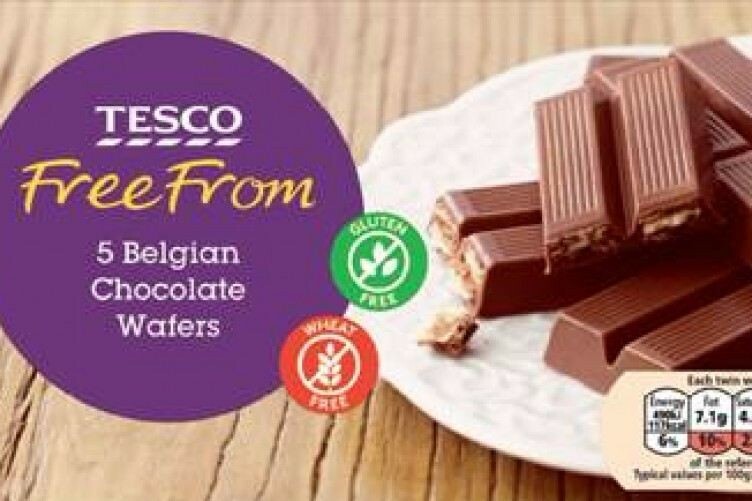 Tesco has recalled its ‘Tesco Free From 5 Belgium Chocolate Wafer’ due to possible presence of Salmonella. The FSA has issued a Product Recall Information Notice. The risk is of a possible presence of Salmonella in Tesco Free From 5 Belgium Chocolate Wafers. Product: Tesco Free From 5 Belgium Chocolate Wafers. Supermarket chain Tesco has recalled the above product and displayed point-of-sale recall notices in its stores. These notices alert customers to the recall and advise them of what actions to take if they have purchased the product. If you have bought the above product, do not eat it. Instead, return it to the store where it was purchased or contact Tesco Customer Relations on 0800 505 555. Kelkin Milk Chocolate Wafers ‘free from’ Gluten, Bakers Delight ‘free from’ Enjoy Gluten Free Wafer Fingers and Atkins Endulge Chocolate Break Wafers have also been recalled because of fears of possible presence of Salmonella. Bakers Delight has recalled all packs of their product on a precautionary basis. The recalled product is only sold in Waitrose stores in the UK. Atkins International BV has recalled their product on a precautionary basis. The potentially affected batch is only sold in Tesco stores in the UK.